If you're moving into a college apartment for the first time, be sure to give that bathroom a good cleaning. Hopefully there will be a new shower curtain for you, but be prepared if there isn't! 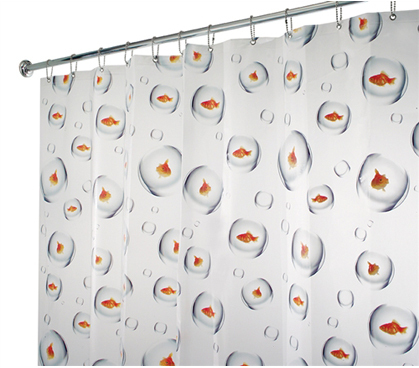 As part of your college bathroom supplies, a shower curtain is a much-needed item. Even if that shower curtain is brand new in your bathroom, shower curtains have a knack for turning rather gray and mildew-laden within a short period of time. 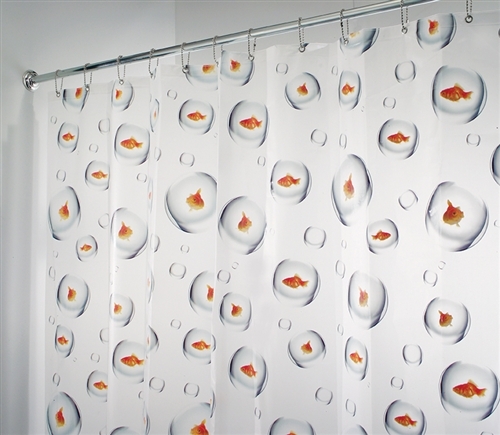 So bring a spare, and make sure it looks as cool as this Bubble Fish Shower Curtain. While you might think a shower curtain is just a shower curtain, a cool-looking cheap shower curtain can only add to your college decor. Don't disrespect the humble bathroom! As part of your college living space, it too should have its share of college decorations if you want it to look its best. 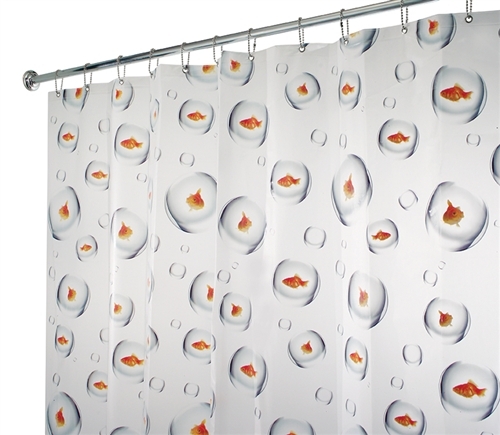 Plus, that shower curtain is probably the largest single college item in your bathroom. Shouldn't it look great too?